Loopeez- Makes learning to tie shoes easier! : Loopeez sponsored Giveaway. You are here: Home / Archived Content / Loopeez- Makes learning to tie shoes easier! Loopeez- Makes learning to tie shoes easier! Loopeez sponsored Giveaway. I have to admit teaching a child how to tie his or her shoes is really not the easiest of tasks! I know that I have searched for an easier way to master this skill. We received an awesome product that does actually make learning to tie your shoes easier called Loopeez. What is Loopeez? A Shoe Tying Aid that makes teaching kids how to tie their shoes more fun and it really is easier! I love their website too! They have visual directions and even instructional videos to show out Loopeez work! 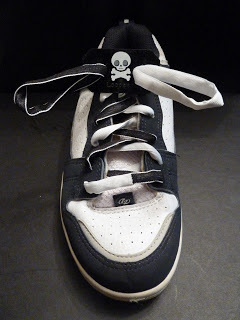 My son liked the one he received to try out because the design is actually cool and it made it easier to tie shoes.We also just tried it on a friend who is learning to tie his shoes and it has been a great help! 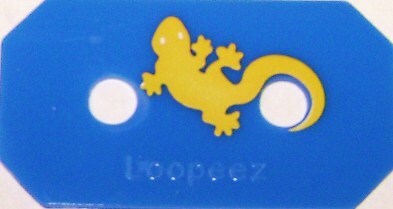 Loopeez are also great for special needs children and adults. It really is a less frustrating way to teach a child to tie his or her shoes in only 5 simple steps! Would you like to try one out for yourself? Loopeez has teamed up with us for a giveaway! You must be a subscriber to enter! Next, go to their Facebook page and “like” them. Don’t forget to tell them that we sent you! Next, leave us a comment below telling us why you would like to try it! Deadline to enter is March 1st, 2013 at 12 PM. Winner will be selected randomly from all entries. * I received this product to review/feature but opinions are my own. Would be very helpful. I understand why a lot of kids are wearing velcro shoes, it takes patience to teach them to tie shoes. I would love this for one of my nieces! Sounds like an easier way to tie shoes!